Nagar is a Principal on Kensington’s venture capital investment team. 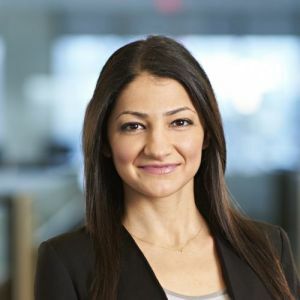 Nagar began her career in forensic accounting and financial analysis, working to detect terror financing and money laundering activities as the leader of a financial compliance team. From there, Nagar transitioned into the entrepreneurial side of finance through her role in the Canadian Innovation Exchange (CIX), Canada’s leading event for connecting entrepreneurs to capital. Nagar was the Executive Director of CIX and managed the CIX board of directors, which includes approximately 40 of Canada’s most influential players in the startup ecosystem. Nagar was a driving force behind the explosive growth of the technology entrepreneurial ecosystem that has grown around CIX, with many companies selected to participate at CIX then going on to larger funding rounds, acquisitions, and IPOs. In addition, she has played a key role in the Banff World Media Festival, extending her reach to executive leaders in media on both sides of the Canadian/US border. Nagar holds a B.A. in Psychology and with a minor in Criminology from the University of Western Ontario.